Christmas decorating is about a special atmosphere, comfortable environment, relaxing and festive look. Christmas home decoration feels familiar and nostalgic, surprising and exciting, blending traditions with modern colors and creative designs, and offering green holiday decorating ideas that are inexpensive, natural and beautiful. Christmas home decoration ideas that are simple and elegant make your rooms bright and welcoming, creating comfortable living spaces for kids and adults. Easy to make Christmas decorations and table centerpieces for winter holidays save your time and money, while filling your home with true Christmas spirit of joy and happiness. Christmas tree decorating is a wonderful way to celebrate the natural theme and spruce up your winter holiday decor. The aroma of pine needles, cinnamon and citrus fruits create a wonderful atmosphere of winter holidays. A large Christmas tree or small evergreen branches, pine cones and sunny bright citrus fruits look gorgeous, adding warmth to Christmas decorating ideas. Pine or spruce Christmas tree, twigs and small branches are excellent for green holiday decor, – fireplace decorating, window displays and fantastic table centerpieces for winter holidays. They look great in living room, kitchen, kids room, family room or entryway. 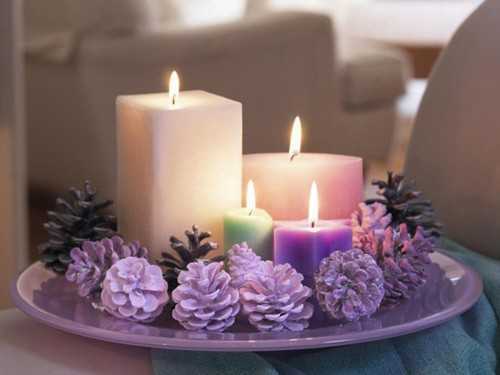 Candle holders, winter themed figurines or simple decorative candles centerpieces with nuts, Christmas decorations, cookies and candies look welcoming and festive. 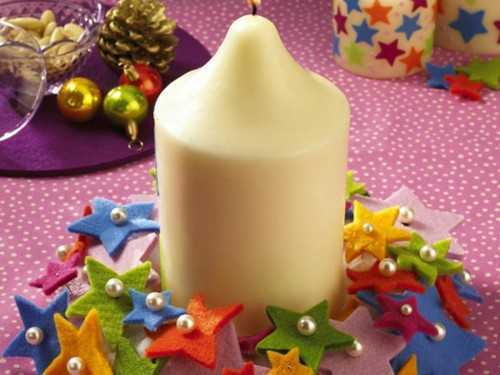 Candles in Christmas tree shapes in seasonal and bright colors make beautiful holiday table centerpieces and are great for window decorating also. A handmade paper garland or evergreen Christmas garland with colorful lights is perfect for wall and fireplace decorating. Paper crafts look fabulous on doors or houseplants. 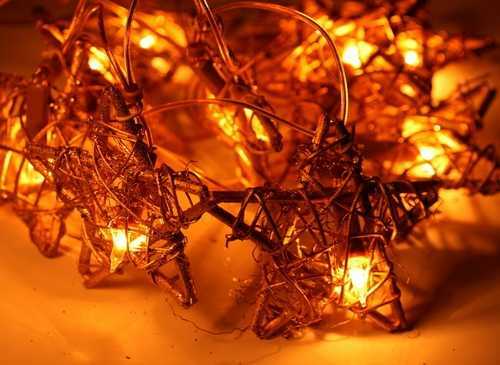 Christmas candles, pine cones, green branches and Christmas balls can be used for attractive bedroom decorating. Hanging on strings from the ceiling or chandelier, Christmas balls, pine cones and handmade Christmas decorations look unusual and creative. Kids room decorating for Christmas and winter holidays calls for bright colors, glowing lights and handmade Christmas decorations. Also safe, made of plastic, fabric and wood Christmas tree decorations can be hung on colorful threads and ribbons in kids room. Children like to paint winter themed scenes and landscapes, traditional winter holiday characters and make paper snowflakes for their room decorating. 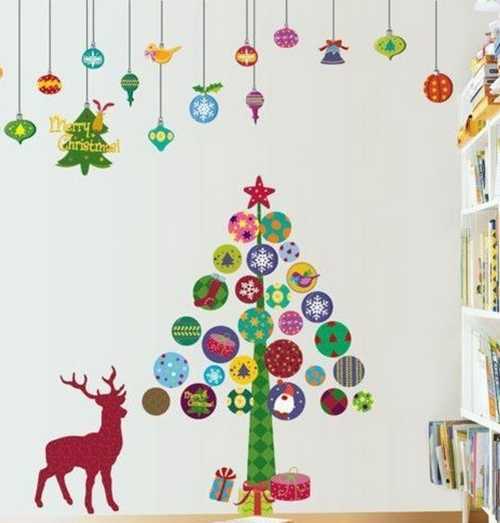 Wall stickers in bright colors are ideal for Christmas decorating. 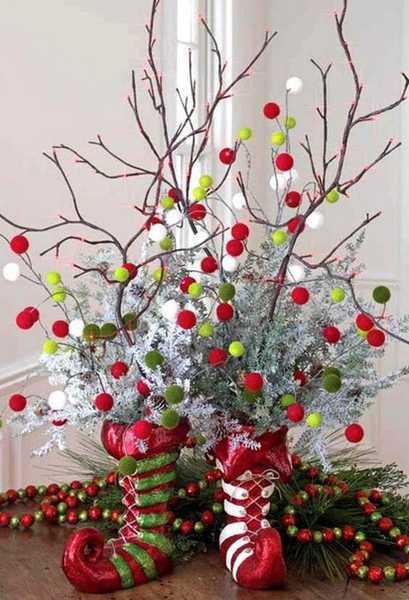 They are easy to remove after winter holidays, but add bright and festive designs to Christmas decorating ideas. Paper garlands and handmade snowflakes, simple Christmas decorations made of wood and paper are perfect for adding Christmas colors and original designs to your entryway, staircase and hallway. Christmas wreath, pine cones with colorful ribbons, wooden and made of fabric decorations, combined with small jingle bells are great for your front door decorating and porch. Pine and spruce twigs, ribbons, bows, pine cones, fabric and wooden Christmas decorations make door wreaths look unique and beautiful, adding a personal touch to Christmas decorating ideas.